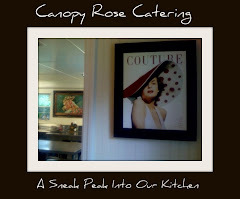 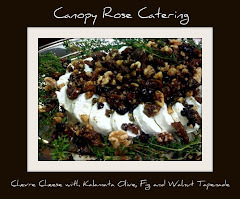 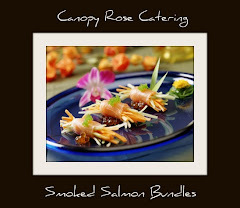 It is a breeze to use the exciting new Canopy Rose website. 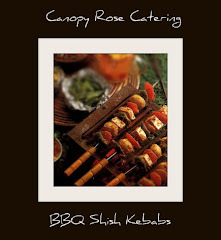 As the owner of Canopy Rose, I am tickled by the ease of this catering website. 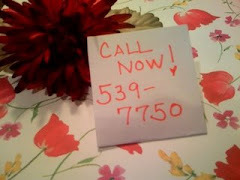 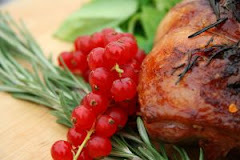 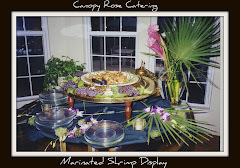 The extensive menu listings with prices makes putting together any sort of menu FUN, FUN, FUN! 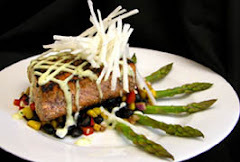 Customers will love the opportunity to be in the driver's seat in the menu planning. 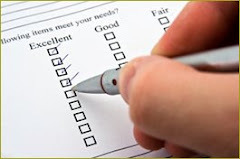 All that a customer will have to do is mix and match what appeals most to them from the different categories. 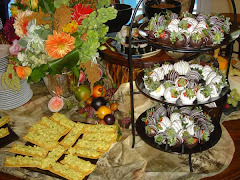 Since the prices are included, customers are able to get an excellent idea immediately what they are looking at as far as cost goes. 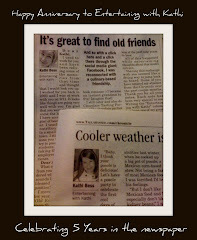 I wish I had thought of doing it this way years ago... it would have been a win-win for everyone! 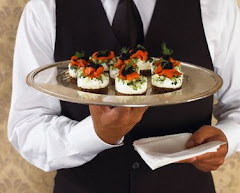 But I suppose that is the gift of years of experience. 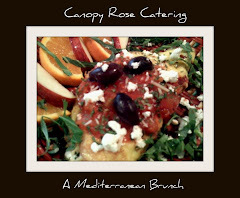 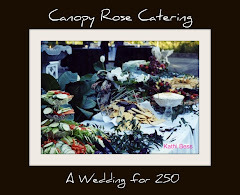 After all these years you should think that one could come up with a streamlined approach to easily sharing one's catering menus-even when the catering menus are as creatively complex as the ones designed by Canopy Rose. 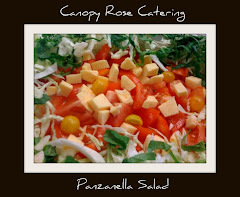 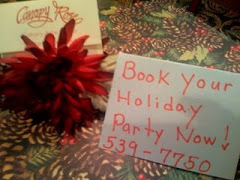 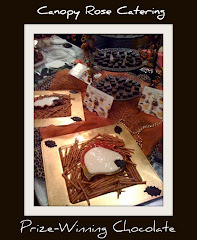 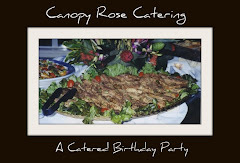 Yes, of course there is still a gazillion different ideas and possibilities that Canopy Rose can do for your wedding, grand opening, holiday party, office luncheon, birthday party, open house, beach party, charitable soiree or other special event- but at least this website is a great launching pad. 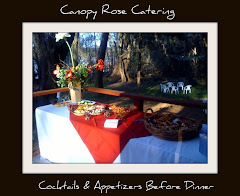 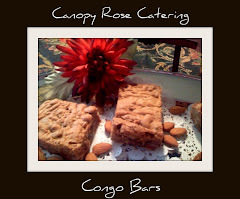 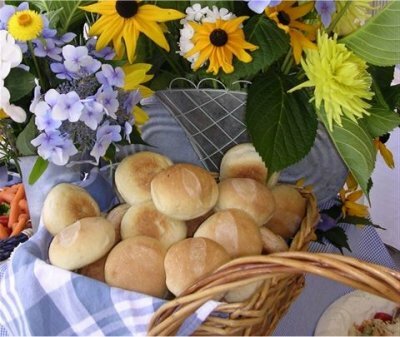 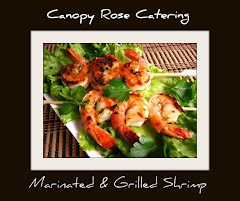 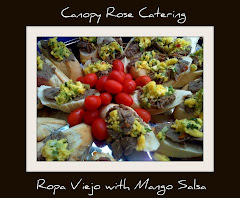 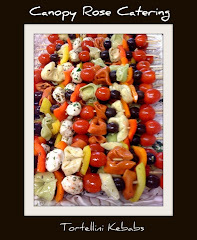 We welcome you to come and explore the delicious and diverse offerings of one of the Tallahassee area's top treasures- Canopy Rose Catering! 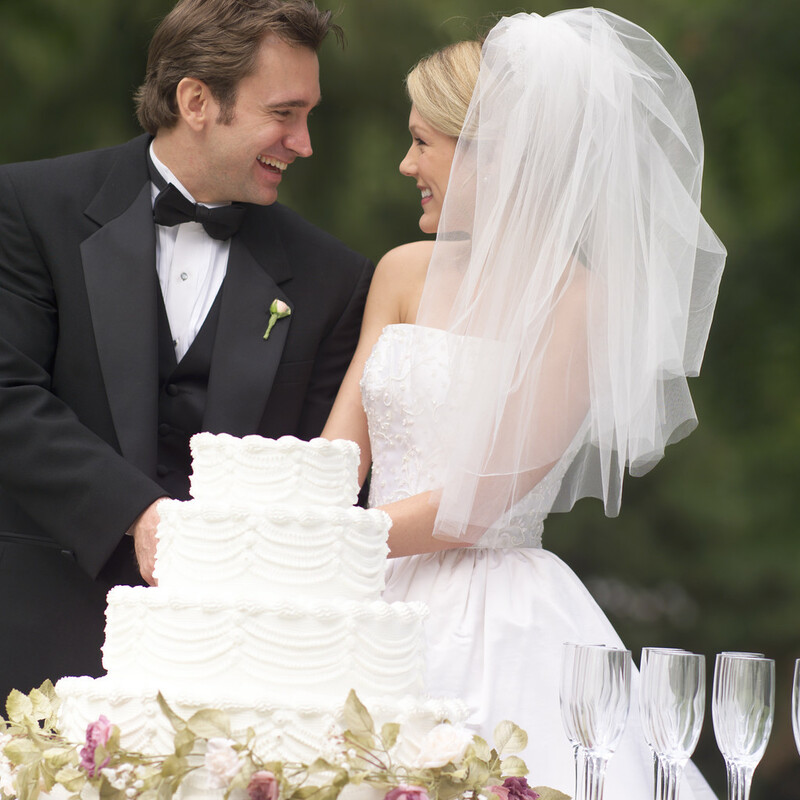 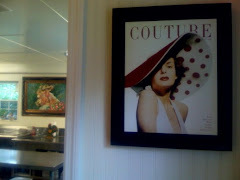 This is a great place for brides-to-be, grooms-to-be, mothers-of-the-bride, fathers-of-the-bride, wedding planners, event coordinators, office managers .... to visit! 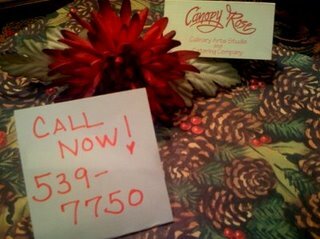 We look forward to serving you and tickling your tastebuds!